Last month I found myself with an invitation to visit Pittsburgh, Pennsylvania for the Andy Warhol Museum’s 20th Anniversary Gala. An affair not to be missed, I booked a flight and flew from Miami (my home) to the ‘Steel City’ for a quick field trip to Pittsburgh, hometown of Pop Art Superstar Andy Warhol. Pittsburgh is filled with beautiful converted brick warehouses, river after river, multiple bridges, and dozens of skyscrapers; none quite complementing the other but certainly unlike any I have ever seen. 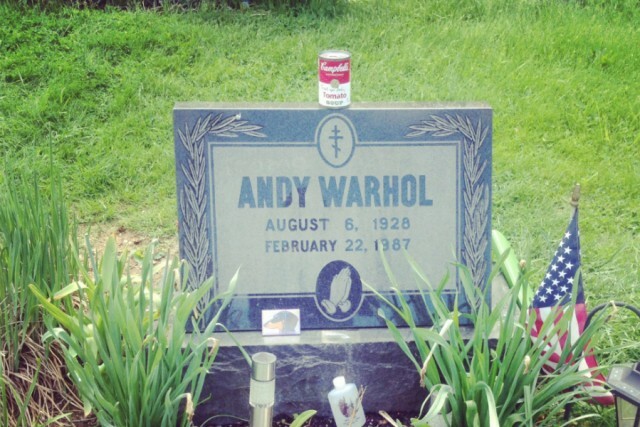 The Saturday morning of the gala, someone in our group suggested making a pilgrimage to Andy Warhol’s grave (he died in 1987). Hiring a car and driving outside the city centre one can easily visit the gravesite, located at the St. John the Baptist Byzantine Catholic Cemetery. On top of a hill among other tombstones, including his parents, we found it. It is a modest gray slab with his name on it and a variety of offerings left by visitors: a soup can, a bottle of holy water, a Jesus statuette, personalized notes, glitter, and candles. Opposite the tombstone, a surveillance camera faced the grave. I assumed it was used to record any antisocial behaviour; however, I was informed the live stream is part of a bizarre art project by Earthcam — ‘Where The World Watches The World’ – allowing voyeurs to view the gravesite online and even schedule the delivery of fresh flowers or Campbell soup cans. 15 minutes of fame replaced by an eternity of adoration; Andy probably would’ve loved it. Leaving the cemetery and this apt tribute, we left to get ready for Warhol’s party. 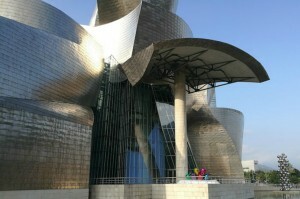 The black tie gala started that evening inside the Andy Warhol Museum’s silver lobby and throughout the galleries, which featured an entire re-installation of the permanent collection. Starting at the top floor and working your way down is the best way to navigate this seven story building. One floor focused on Warhol’s early life, which included family photos, student work, and even an autographed photo from American child star Shirley Temple. 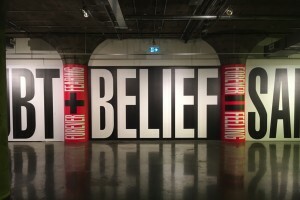 Each floor presented iconic works from Warhol’s oeuvre: blotchy drawings of shoe advertisements, screened soup cans and soap boxes, a gallery of floating silver clouds, The Last Supper paintings, celebrity portraiture, polaroids, fluorescent cow wallpaper (once seen at Tate Liverpool, I might add), and elements from his collaborations in video and music. 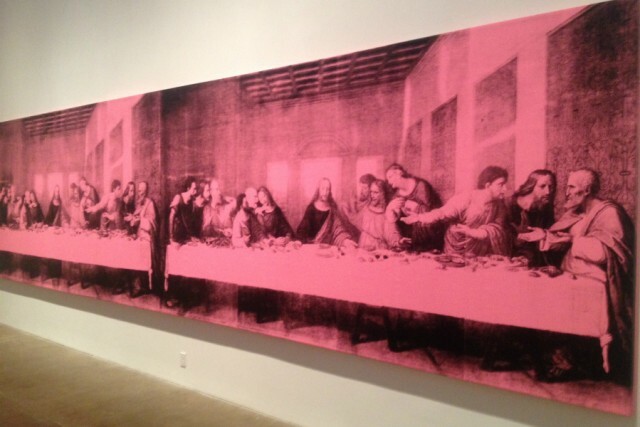 No stone was left unturned; it was a complete retrospective of Warhol’s world. A strong highlight of the Warhol Museum is an area dedicated to archives, which hold thousands of items related to the artist’s life and prolific career. One of the most intriguing and important items held are the Time Capsules. For several years, archivists have been opening and documenting a collection of 612 cardboard boxes which Warhol filled with ordinary objects and ephemera from his daily life from the last 30 years until his death. Sealed and sent away to storage, the boxes reveal a snapshot of his life: artworks, photographs, party invitations, books, clothing, newspaper clippings, even fan mail. Much stranger items include a baked orange nut bread and an autographed paparazzi poster of a naked Jacqueline Kennedy Onassis, which appeared in Hustler magazine, against her wishes, in 1975. Her gestural “For Andy, with enduring affection, Jackie Montauk” questioned the authenticity, but one archivist assured me she gave it to Warhol as a joke. Another floor was dedicated to a new show, Halston and Warhol: Silver and Suede, which parallels the lives and creativity of Warhol and the fashion designer Halston. 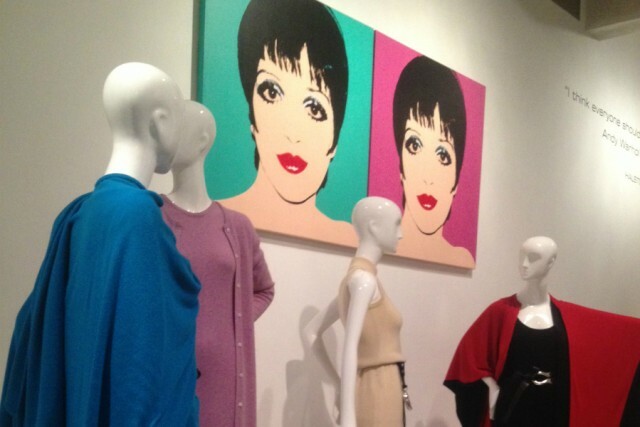 The exhibition includes Halston’s designs, Warhol’s work, and follows their friendship, collaborations, and their contribution to art and fashion. The party continued within a huge white tent in front of the museum. Drag queens, disco dancers in metallic playsuits… and a performance by Gloria Gaynor, taking us back to the days of Studio 54 with I Will Survive. Much later, a live auction was held featuring one Time Capsule box that had never been opened. This was a once-in-a-lifetime opportunity to be the first individual to unearth its contents. At one point a friend at our table held the highest bid, but among the frenzy did not win, which was unfortunate for me because moments earlier he had invited me to help open the box if he won. Damn.